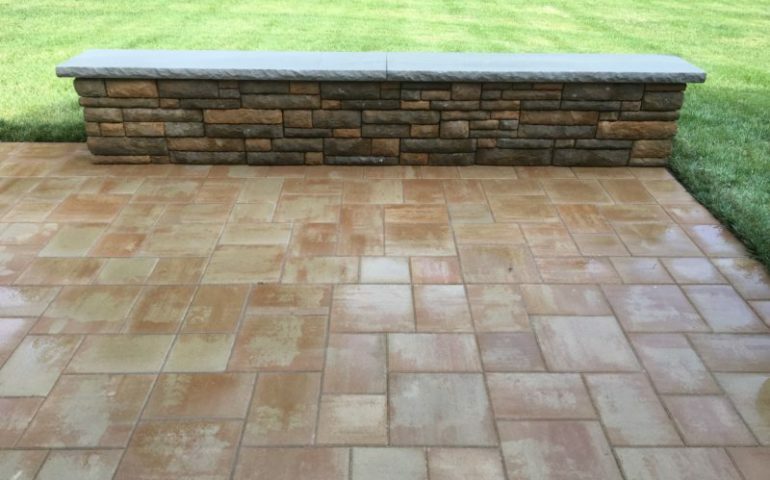 Paver patio and seating Wall. Cast stone paver seating wall with Indiana Limestone cap. Cap has a rockface edge.